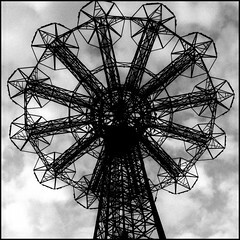 Great b&w shot of the Parachute Jump. It's such an icon. 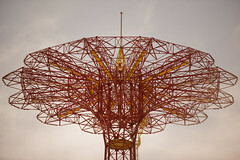 My first completed film, shot on Super 8 in July 2007, the last summer Coney Island's Astroland was going to be open. I had never visited the park before, but wanted to get there before it was closed forever so one summer while taking a course in NYC, I brought my Super 8 camera and spent the day filming there. Another great picture. 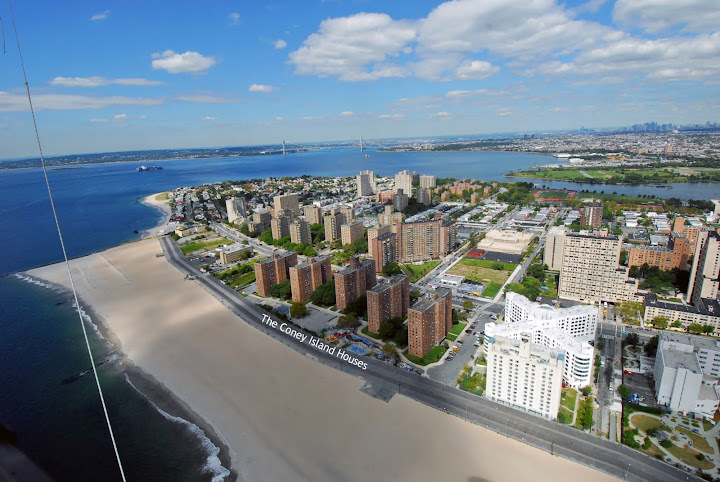 Nothing says Coney Island like the Parachute Jump. This is a clip from the film "The Little Fugitive" which plays fairly regularly on Turner Classic Movies. Simpler times.